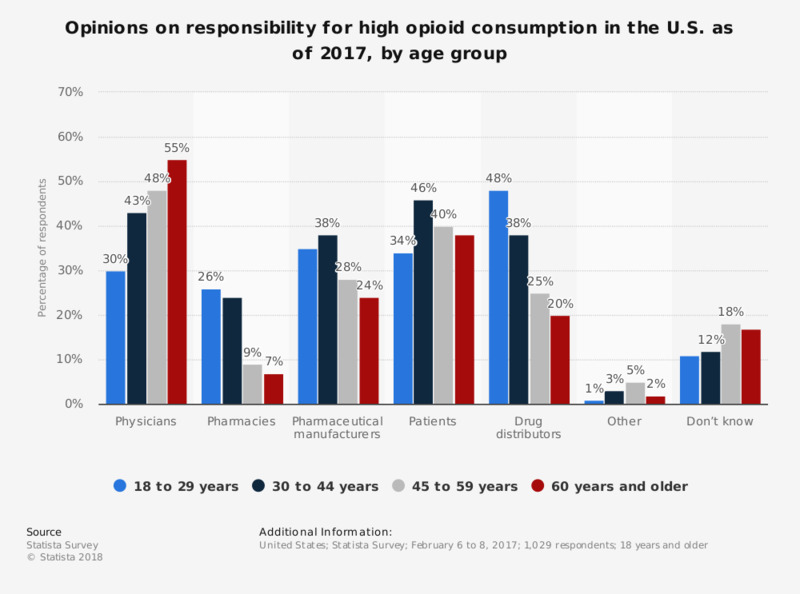 This statistic shows the opinions on who is responsible for the high consumption of opioids in the U.S. as of 2017, by age group. Almost 30 percent of the respondents aged 18 to 29 stated that they believe that physicians are responsible for the high consumption of opioids in the United States. Original question: "Who do you think is responsible for the high consumption of opioids in the US?" (multiple pick).